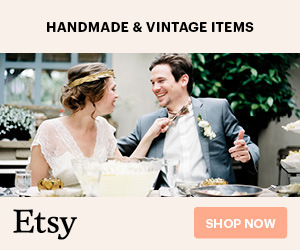 Summer is here and wedding season is in full swing! One of the best aspects of wedding season has to be the drinking, am I right? 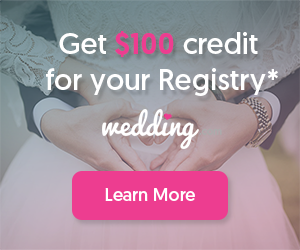 From engagement parties to bridal showers and wedding receptions, I think that most guests look forward to sipping on a cocktail and dancing the night away. 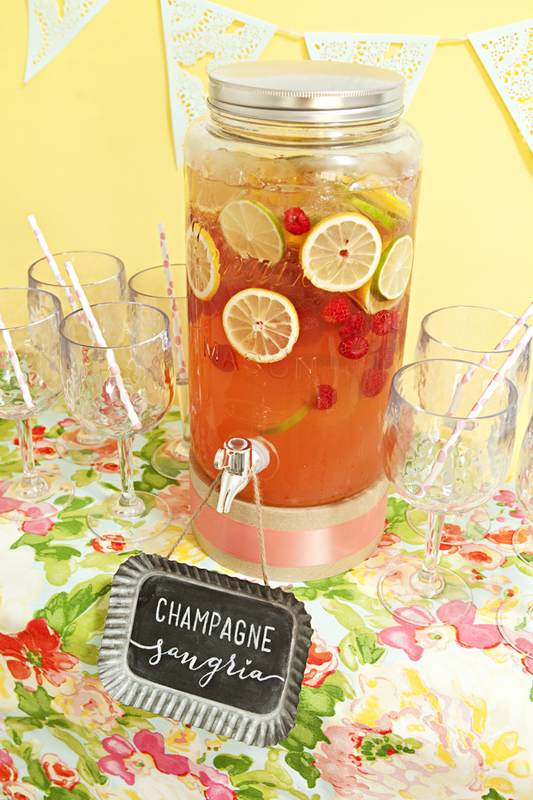 I’m excited to announce that I’ve partnered with Sur La Table to bring you four fun DIY ideas for summer weddings and today I get to share the first; a deliciously refreshing recipe for Champagne Sangria! A lovely and easy addition to any summer event that requires little effort but packs a super flavorful punch. The secret to this concoction is the Elderflower Liqueur – but, shhh don’t tell anyone… just let them think you are a master mixologist! Fill your mason jar drink dispenser about halfway with ice. Then add the Champagne, grapefruit juice, Cote Jolie and simple syrup. Stir to combine. Add the fruit garnish on top. To fill this 1.7 gallon container, I tripled the recipe above and it fit perfectly. 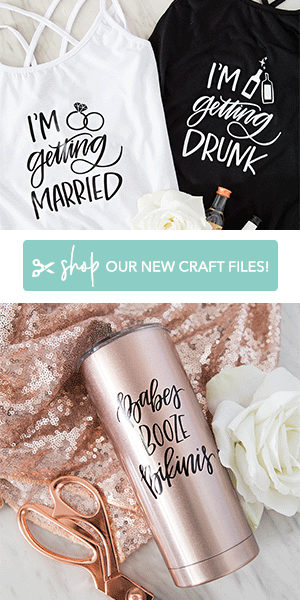 Add a sign to tell your guests what they’re about to enjoy and pair awesome acrylic wine glasses (that really look like real glass) with cute straws. 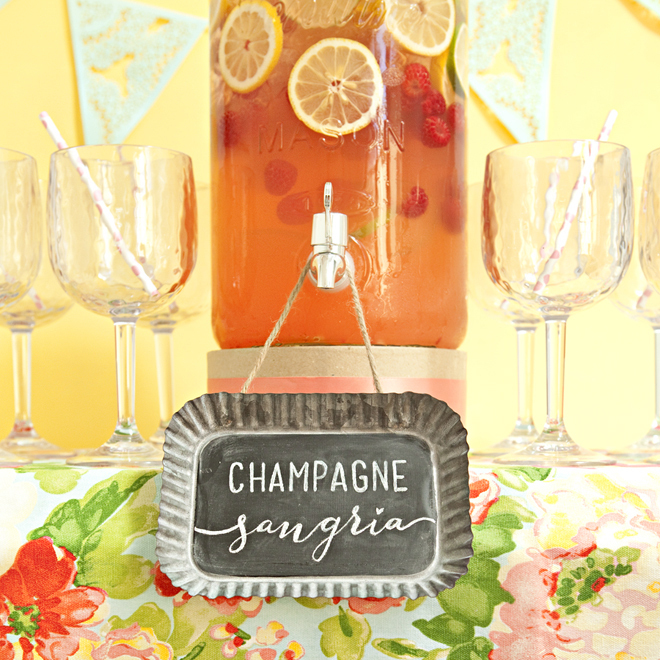 A darling set up that will ensure the hostess doesn’t have to spend her time “tending bar”. This delicious and easy cocktail mix is sure to delight all of your summer wedding event guests! ps. I just served this beverage at my 4th of July party last weekend and instead of grapefruit juice I used Pom-Bluberry juice and instead of raspberries, lemons and limes – I just used blueberries and not only was it crazy delicious but it was the perfect look for the holiday! Feel free to get creative with the juice flavor you use! For the chalkboard sign, I designed and printed the lettering onto a piece of paper first and then traced it onto the sign using the pencil transfer technique I share in this post. I did the lettering using this awesome chalk pencil.